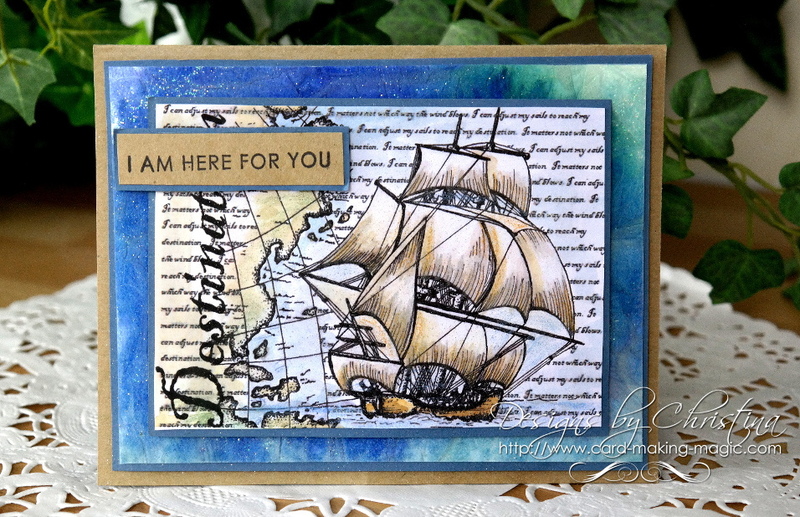 There are many Card-making-techniques, from rubber stamping to matting and layering, that can produce some really spectacular results. And here you will find some useful information to help you work with some of these ideas. I will cover as many as I can in this section, and explain to you how they can enhance an ordinary card to the status of "Stunning"
Some are very simple to apply like matting and layering but will leave the recipient of your card wondering how you did it. Others will be a little more challenging as your confidence grows, but there is nothing that you cannot achieve for yourself. "Oh! it was nothing really!" Which can produce different effects from the same stamp, simply by changing the colours. Give your cards a raised effect with the easy to do embossing. 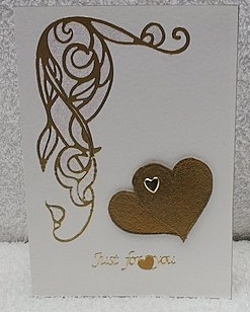 The gold hearts on this card are embossed with some gold powder to look and they look textured.... almost metal effect. 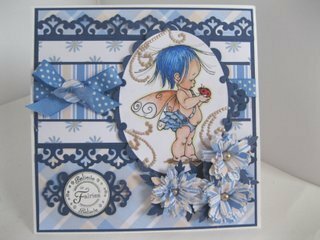 Is a lovely technique that gives you a glossy background with acetate and inks refills. There are tips on the page to use alternatives if you don't have the items I have used. Try some magical things with parchment. 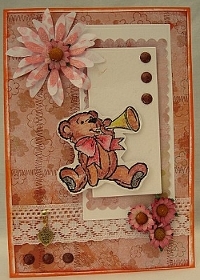 Use this versatile material to make flowers or stamp on it to create the sentiment strips for your cards. Use it to diffuse a bright backing paper that you would not otherwise have used. 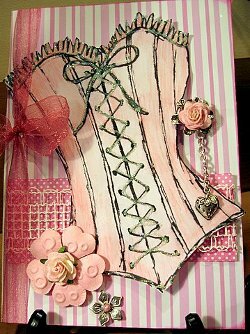 This is a lovely technique that can build height to your cards by adding in layers with foam pads in between the layers. And these days the layers are die cut ready for you to just push out and use. for a truly feminine look. 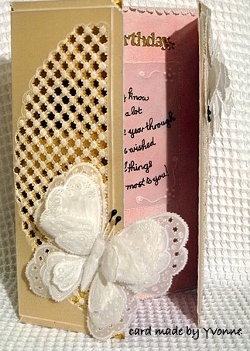 And of course for all these beautiful cards you are making you may need the finishing touch in the form of a lovely Envelope or even a Box for it. Card Making Techniques Part 2.